Once you have learned the basics of yoga, where do you go? 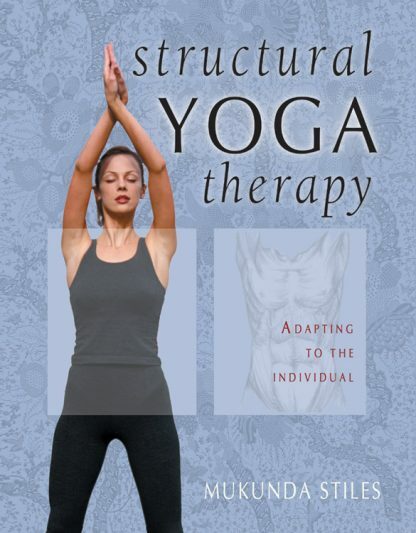 This book has been written for teachers and serious practitioners who want to use yoga to bring complete balance to the body. Stiles provides a comprehensive overview of the spiritual philosophy of yoga and its many branches, and discusses everything that a beginning student needs to consider when choosing a practice, including how to find a yoga teacher. Then he shares his solid understanding of anatomy and kinesiology (how specific muscles and bones react during movement) so that you can understand how each asana affects your body. Mukunda Stiles is the director of the Yoga Therapy Center in Denver, CO., and lectures throughout the U.S., Europe, and India. He serves on the Advisory Board of the International Association of Yoga Therapists, and is the author of Structural Yoga Therapy, Patanjali�s Yoga Sutras, and Ayurvedic Yoga Therapy. He lives in Boulder, Colorado.